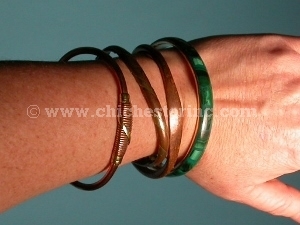 Bracelets from left to right: Wire wrap, Two-tone, Plain, Malachite, Monotone Twisted, and Multicolor Twisted. These are real African-made copper bracelets from the Congo, Senegal or South Africa. 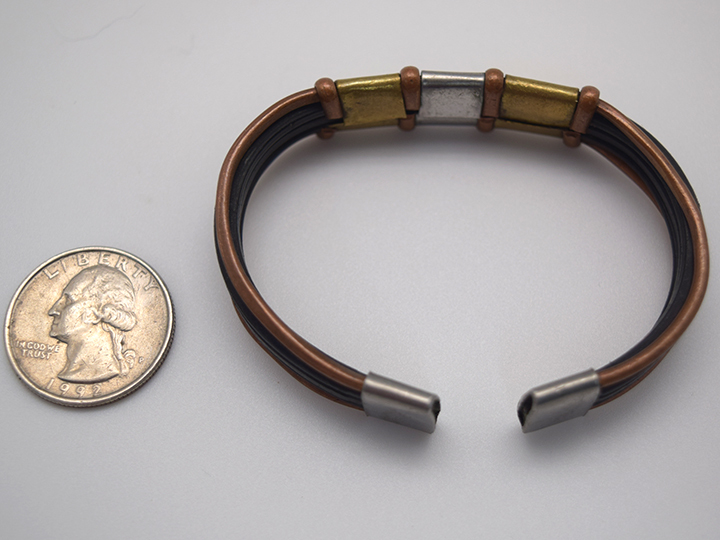 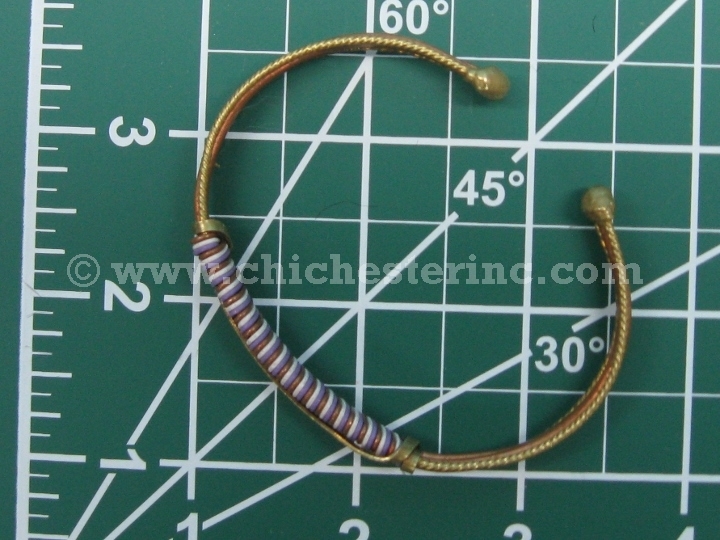 Generally, the bracelets are about 7.5" on the curve, and the widest part is about 0.5". 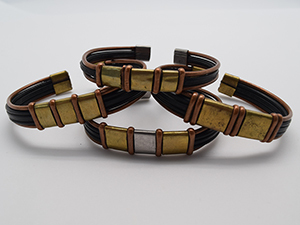 All of the copper bracelets weigh approximately 0.2 to 0.7 oz., and, except for the Malachite or Cow Horn bangles, are bendable/adjustable. 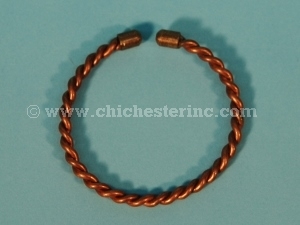 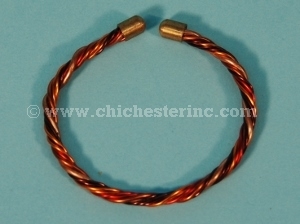 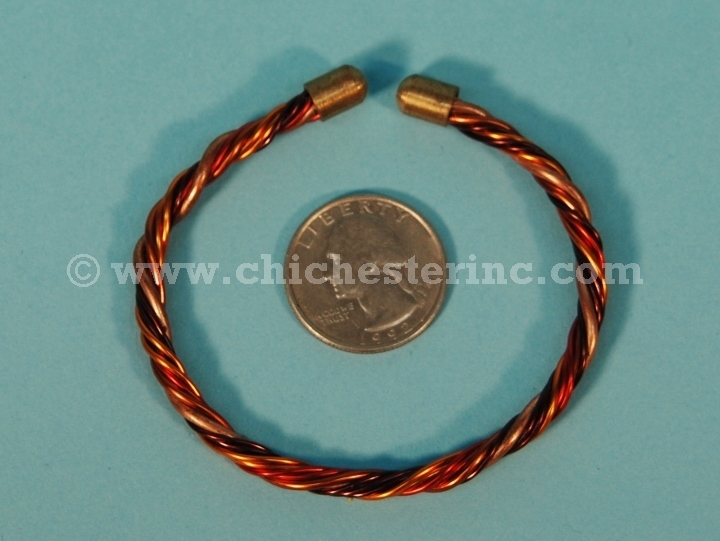 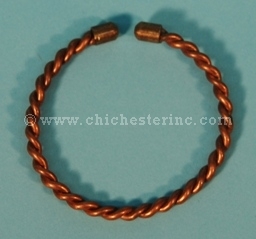 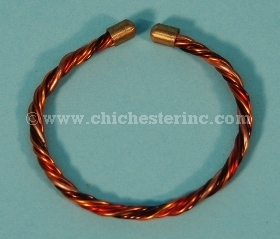 The assorted Metal Bracelets have a weight range of 0.7 to 1.7 oz. 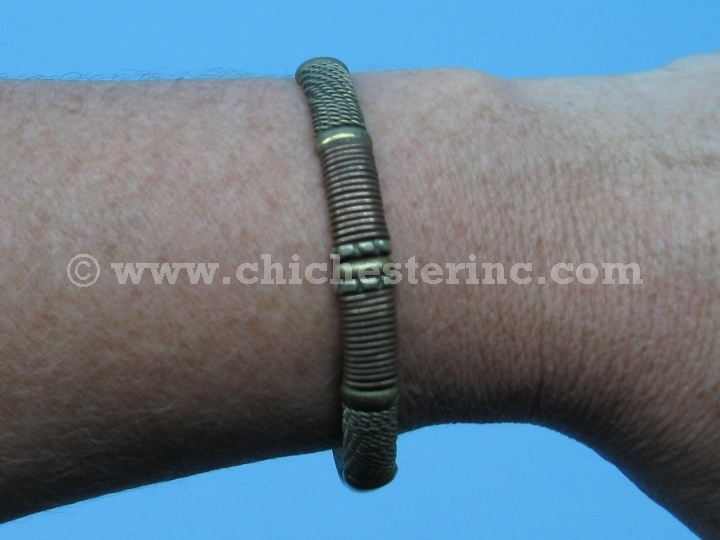 The South African bracelets are 2.5" in diameter (monotone twisted) and 3" in diameter (multicolor twisted). 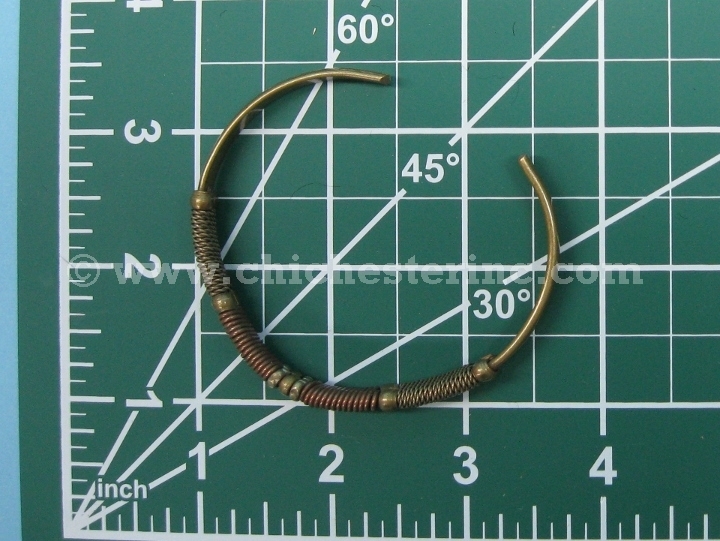 They are 0.25" wide and weighs 0.7 to 0.8 oz. 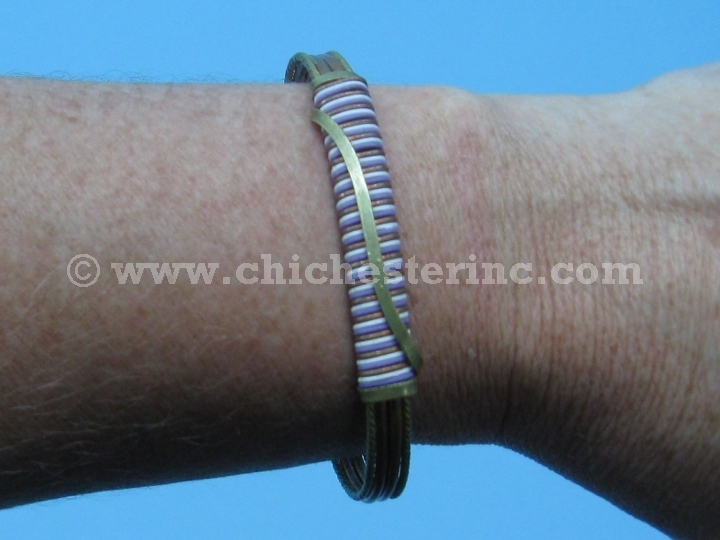 See the side of the bracelet on a cutting mat. 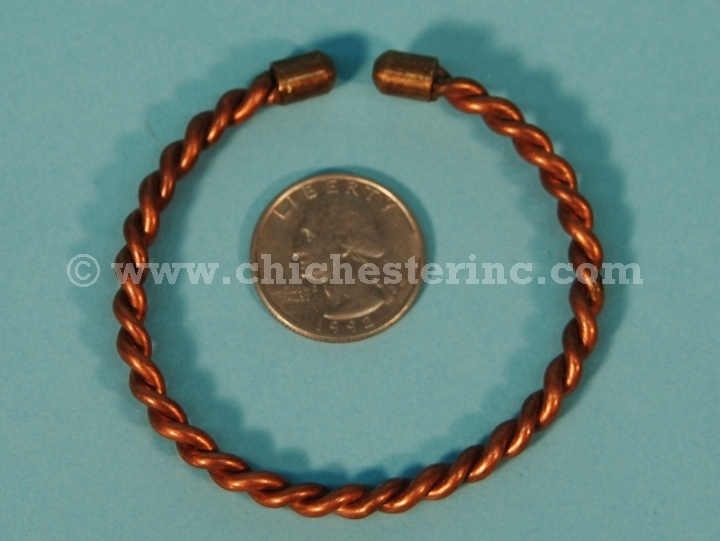 These pictures show some of the styles we carry. 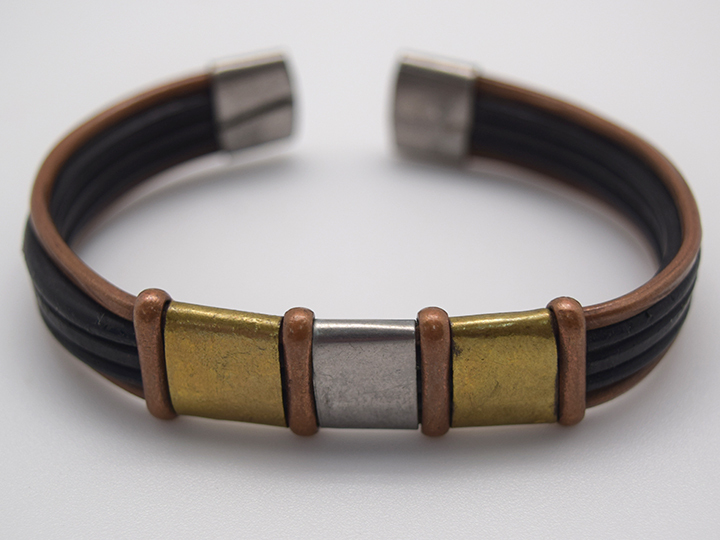 Let us know if you prefer a specific style and we will try our best to send it if we have it in stock.